Wark, Wesley K.. "Intelligence and Espionage". The Canadian Encyclopedia, 10 October 2017, Historica Canada. https://www.thecanadianencyclopedia.ca/en/article/intelligence-and-espionage. Accessed 19 April 2019. Intelligence and Espionage are controversial areas of government activity, generally shrouded in secrecy, and often the subject of considerable public fascination and sometimes misapprehension. Canada is often thought of as a country innocent of such activities, or of devoting little in the way of government resources to them. Yet Canada has evolved an intelligence community, with a relatively dramatic, if recent, history that belies this picture of inactivity. Intelligence is information gathered to enhance the security of the state. It divides naturally into 2 kinds of material and activities: foreign intelligence, designed to enable the state to conduct effective diplomatic, military and economic activities in the international arena; and domestic intelligence, utilized by the state to monitor perceived threats to order within its territory and to counter the activities of foreign intelligence services. Espionage is a special kind of intelligence activity that denotes the work of secret organizations whose task is to gather information by covert means. Espionage, thus, usually represents only a small part of the overall system of intelligence, and this has been especially true in the Canadian case. Canada has never developed a secret intelligence service on the model of the British MI6, the American CIA or the Soviet KGB. The country's geopolitical position, alliance membership, and relative power have never required such an espionage organization. While Canada has no secret service, it does possess an intelligence community whose origins can be traced to the mid-19th century. The first organized intelligence work to take place in Canada was a characteristic blend of both foreign and domestic espionage. In the early 1860s, the Canadian government became alarmed about the FENIAN threat and created a frontier intelligence service to monitor the activities of this exiled Irish group who sought to mount an invasion from bases in the US. On the occasions of the Fenian raids of 1866 and 1870 (both unsuccessful), Canadian secret agents were able to provide the government with considerable advance warning of the Fenians' plans. Herein the government enjoyed its first taste of the uses of organized intelligence for national security purposes. A second notable, if embryonic, development of the mid-19th century was the decision to establish Guide units in the newly formed Canadian militia, to provide scouting and intelligence skills. Such units saw some action in the Riel Rebellion in western Canada and, in a volunteer contingent, in the SOUTH AFRICAN WAR at the end of the century. But their intelligence-gathering skills were rarely tested and they were generally employed as mounted infantry. Despite these innovations, Canada enjoyed no genuine intelligence system when WWI broke out in 1914. The war proceeded to give an impetus to the development of areas of intelligence expertise, particularly tactical military intelligence skills developed by Canadian forces fighting on the Western front, and domestic counter-intelligence. The latter was stimulated above all by the fear of an intensive German campaign of sabotage mounted against the country, and particularly against its chief economic achievement, the national railways. The German military attaché in Washington, Capt Franz von Papen (later to serve as Cabinet minister and ambassador during the Hitler regime), did devote his energies to planning sabotage in Canada, but all to no avail. The plotting fizzled out in 1916, after a bungled bomb attack on a Canadian railway bridge near the Maine border. The Canadian government responded by pressing the DOMINION POLICE, the Royal North-West Mounted Police, military intelligence and even private detective agencies such as Pinkerton's, into action against potential saboteurs. After 1917, and the successful Bolshevik revolution in Russia, attention turned to the threat posed by radical political movements in Canada. Towards war's end, in September 1918, a fledgling Canadian intelligence system survived inevitable pressures for demobilization and a return to peacetime practices. Within the army, a skeletal military intelligence directorate kept in touch with world events through its access to a regular flow of information from London. The newly created ROYAL CANADIAN MOUNTED POLICE (RCMP) turned some of its attention to monitoring domestic political radicalism. The achievement of continuity, linking the activities of WWI with the post-1918 era, provided the framework for future growth in the Canadian intelligence system. But it would take the massive demands placed upon the military and society in WWII before a more fully fledged intelligence community would emerge. In essence, Canadian intelligence resources in 1939, upon the outbreak of WWII, were little changed from those available to the country in 1914. It was the totally unexpected defeat of France in 1940 that, more than anything else, set change in motion. Canada found itself, in the summer of 1940, thrust into a prominent position as Britain's principal surviving ally. Military and industrial mobilization created a potentially massive internal security problem, owing to the need to create a secure home front and fears of foreign "fifth column" activity. Concern about the prospect of a British collapse prompted a move to create an independent Canadian foreign intelligence capability. Fears of Vichy French or German espionage activities in Canada, and of the extension of the "secret war" across the Atlantic, prompted greater attention to domestic intelligence work. These responses were sustained by the exploitation of new forms of intelligence, once the Grand Alliance of Great Britain, the Soviet Union and the US took shape in 1941 and Canada settled into a role as a junior wartime ally. It was in the forefront of intelligence work, in signals intelligence, that Canada found opportunities to develop an independent capability that was at the same time a useful contribution to the wider intelligence alliance that had been created among the Allies. During the crucial Battle of the ATLANTIC, a submarine tracking room in Ottawa provided naval signals intelligence to convoys in the western Atlantic, warning of threatening U-BOAT activity. A small and highly secret code-breaking establishment, known as the "Examination Unit," was set up in 1941 and enjoyed considerable success in intercepting and decrypting German agent traffic and Vichy French and Japanese diplomatic radio messages. Canada was also drawn into the secret resistance war, providing personnel and resources to the British organizations created by Winston Churchill to "set Europe ablaze" - the Special Operations Executive (SOE). Canadian volunteers served with distinction in the SOE, particularly on missions to aid the resistance in occupied France. A special camp, known as CAMP X, was established near Oshawa, Ont, to provide basic training to SOE recruits. Camp X also housed a top-secret communications centre, known as "Hydra," for the transmission of sensitive material across the Atlantic. Individual Canadians made their own contributions to intelligence, outside the sphere of the Canadian intelligence community. The most famous of these persons is undoubtedly Sir William STEPHENSON ("Intrepid"), who was chosen by Churchill to head the British secret service at New York during the war. On the home front, the RCMP and military intelligence combined their resources to provide internal security during the war, concentrating their attention on Axis espionage and subversion. The RCMP had good success in infiltrating the few pro-Nazi groups that grew up in Canada, and also managed to capture at least 3 German agents sent to Canada (2 arrived by submarine in the Maritimes). At the war's end the authorities in Ottawa were convinced of the utility of a Canadian intelligence effort and were determined to carry on the work in peacetime. Canada looked to sustain its membership in a special intelligence relationship with the United States and Great Britain after the war. This desire was substantiated by Canadian adherence to the provisions (still undisclosed) of the 1947 UK-USA Pact, which allocated signals intelligence tasks and exchanges between Britain, the Commonwealth countries and the United States. The Examination Unit's work was continued after 1945 to provide Canadian material for this common intelligence pool. The unit itself was renamed after the war; it is now called the Communication Security Establishment, based near Ottawa, and is operated under the aegis of the Department of National Defence. Canadian military intelligence authorities also made plans to sustain their work into the postwar years and to create a peacetime foreign intelligence system. Their plans, however, were upset by the impact of the GOUZENKO Affair, perhaps the most startling instance of espionage to occur on Canadian soil. On 5 September 1945, a cipher clerk in the Soviet embassy in Ottawa defected (not without some difficulty) to the Canadian authorities. He revealed to the RCMP that a number of Soviet espionage rings were operating in the country and had penetrated into some highly sensitive positions, including the Department of External Affairs's cipher room, the British High Commissioner's Office and the CHALK RIVER NUCLEAR LABORATORIES. These revelations caught the RCMP unawares, as they had devoted little attention to Soviet activities in Canada during the war. The government hurriedly attempted to patch the holes in its internal security by augmenting the role of the RCMP in counterintelligence, and by creating a powerful Security Panel to serve as a watchdog over standards of security and loyalty in government service. The Gouzenko Affair and the entry of Canada into the UK-USA signals intelligence alliance were the 2 key events of the immediate period after the Second World War. They established the pattern for much that was to follow. Since 1945, Canadian activity in the foreign intelligence sphere has centered on the country's membership in the NATO and NORAD alliance systems. Canadian signals of intelligence, including material derived from the Arctic radar chain, continue to play a large role in the context of these defence alliances, from which Canada gains access to a wider pool of strategic intelligence. 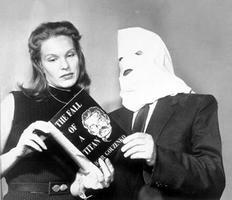 The Gouzenko Affair alerted the government and public to the realities of international espionage and prompted the growth of a counterintelligence service within the RCMP. Since 1945, Canada has continued to be targeted for espionage by a variety of foreign powers, largely because of Canadian proximity to the US and Canada's role as a Western alliance partner. The final report of the McDonald Commission (see INQUIRY INTO CERTAIN ACTIVITIES OF THE ROYAL CANADIAN MOUNTED POLICE), issued in 1981, indicated that there have been 20 cases of persons charged with espionage offences under the Official Secrets Act and that 42 diplomats had been expelled from the country for espionage-related activities since 1945. The RCMP remained the principal authority in domestic intelligence work until July 1984, when the CANADIAN SECURITY INTELLIGENCE SERVICE (CSIS) came into existence to carry out the same mandate as did the RCMP Security Service, but as a separate, civilian service. The Security Service was disbanded largely in response to mounting criticism of its performance. When CSIS was similarly reprimanded in late 1987, a series of reforms were introduced to force it to shed its RCMP past, which had persisted because the bulk of its officers and procedures had been inherited from the Security Service. One exotic concern that CSIS will have undoubtedly inherited from the RCMP Security Service is the nightmare of the "mole," double agent or penetration agent, who gains access from within to the secrets of intelligence work. The Canadian record shows no Kim Philby, but at least one RCMP Security Service officer, James Morrison, codenamed "Long Knife," has been convicted of espionage on behalf of the Soviet Union. Leslie James Bennett, a long-time counterespionage officer, was forced to retire under a cloud of suspicion, never proven, that he was a Soviet agent. More recently, controversy has been revived over the case of a senior Canadian diplomat, E. Herbert NORMAN, who committed suicide in April 1957 while under investigation by the RCMP. Yet new problem areas are encroaching on domestic intelligence work: TERRORISM, the international drug trade, illegal immigration and technological and economic espionage, which may ultimately thrust such traditional counterespionage concerns as the fear of the mole deep into limbo. The Canadian intelligence community, though small, has evolved over time into an established part of government. In the era of computer-age technology and fierce international competition and violence, it would appear likely that the community will continue to evolve and to play a role in the maintenance of national security.